Over the years I have had the pleasure to collaborate with artist friends who ply their trade in the music industry. 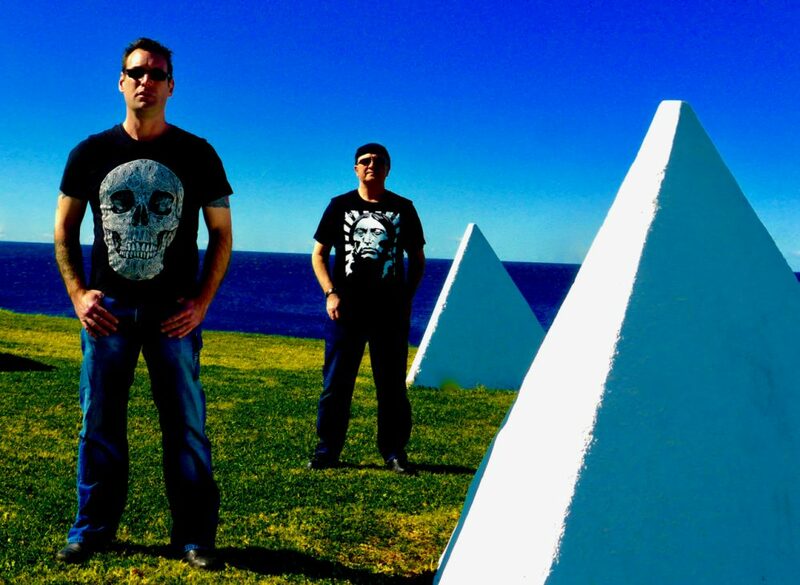 Australian based Mark Lucas and Karl Brodie included images we created together on their album front covers. And Davie Paton a fellow Scot from my hometown in Edinburgh, Scotland published my “Paha Sapa Sunset” image on his front cover along with a image of the Beatles on his 2007 solo album titled “Fellow Man.” Davie is famous for being the front man for Pilot and he wrote the bands worldwide hits ‘Magic” and “January.” Davie also worked with Sir Paul McCartney, Kate Bush, Elton John and he was a member of the Alan Parsons Project for over ten years. Plus numerous other renowned acts in the music industry. For over nine years I tried to encourage friends with a music background if they would be interested in collaborating on a song about the stories surrounding my “Cheyenne Hole” booklet from 1991. Sadly my request fell on deaf ears until one day while working at Australia Post in Sydney’s Central Business District in early 2000 a young musician and fellow employee named Chris Fisher from the Southern Highlands answered my call to arms and over the next eighteen months we wrote and published ‘Great Plains Volume I” a album about my travels across the Great Plains of the United States of America. The album contained songs about the life and times of Lakota-Sioux freedom fighters Sitting Bull, Crazy Horse and Southern Cheyenne War Chief Medicine Water. On completion of “Great Plains Volume I” in late September 2001 Chris and I drifted back into the rhythm of our everyday lives looking to replenish our creative spirit and pursue individual dreams. 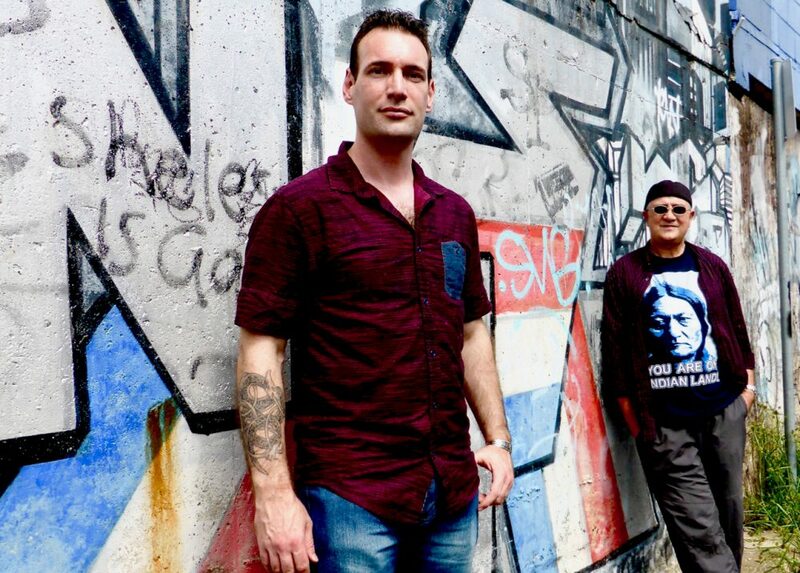 Over the intervening years Chris concentrated on playing live music with his band Pulse 8 and continued to expand his mastery of various instruments. I divided my time between photographic projects and focusing my research on the Indian Wars of 1854-1890. With our lives taking us on very different paths it was some fifteen years before we met up again. The years 2006 through 2013 saw me engage in a deeper more intensive period of travel across the Great Plains of the United States of America. Visiting places old and new, commonplace and obscure, populated and desolate, each with their own story to tell. Photography has been the main focus of my practice but in 2009 I looked once again to commemorate my research and travels in lyric form. The result… lyrics for six new songs four of which feature on Great Plains Volume II. An unexpected phone call from Chris in early 2016 initiated our decision to collaborate once again. Resurrecting my 2009 lyrics Chris developed the music for two of the songs. 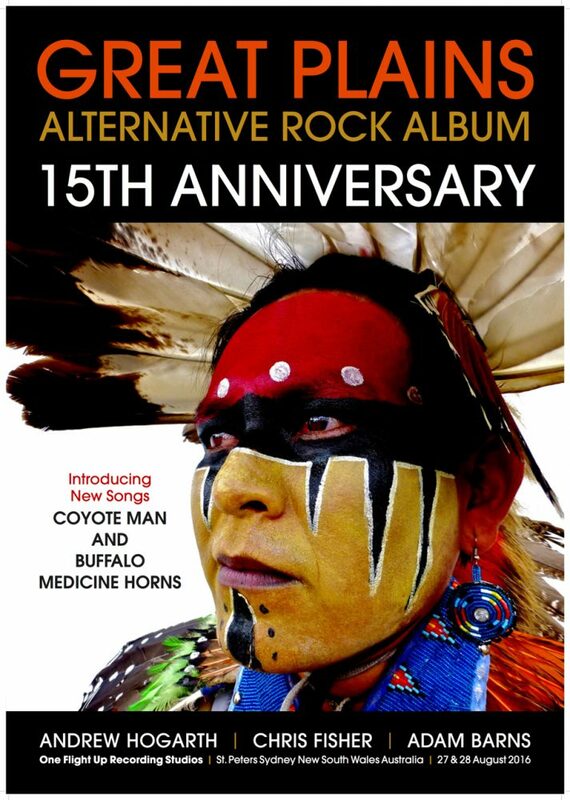 Later that year we recorded Coyote Man and Buffalo Medicine Horns at Nick Irving’s One Flight Up Recording Studios with the able assistance of our original producer and recording engineer, Adam Barns. It was a memorable weekend bringing these stories to life. Comanche Moon celebrating the life and times of Quanah Parker was conceived as the final destination in our eighteen year Great Plains journey. With lyrics and music written in 2017 we felt it a fitting salute to the often contrary nature of life on the Great Plains. 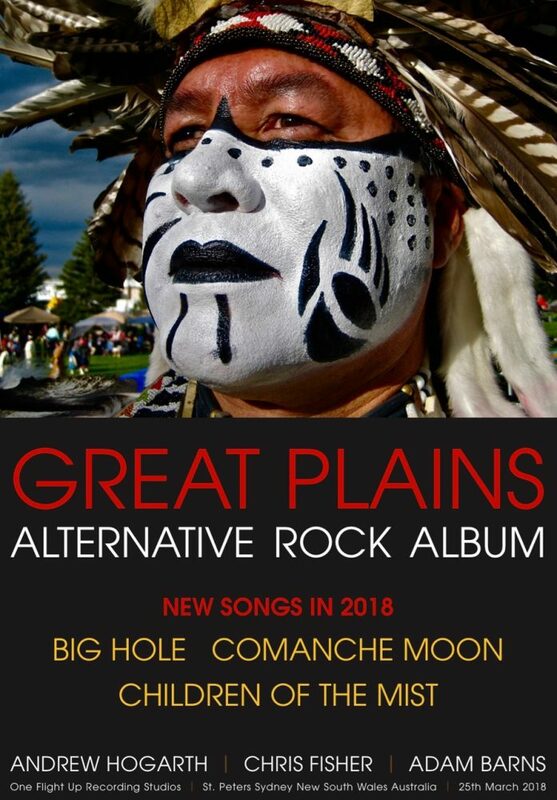 As Chris fine-tuned the instrumentation and music for Big Hole and Children of the Mist we ventured back into the recording studio in December 2017 and wrapped up recording of the final three songs on Great Plains Volume II… Big Hole, Children of the Mist and Comanche Moon in early 2018. It is hoped whether you are a novice to the Great Plains of North America or an old hand that you find inspiration and celebration in our journey together in music, words and imagery.